This summer, Let’s get creative was based on the process of creating a theatre production. Theatre is recognized more in pop culture and in young life, but still not as much as it should be. Theatre is an amazing opportunity to learn leadership, teamwork, and individuality, and it’s a safe place for creativity. It’s a competitive world, but theatre teaches life skills, like how to take constructive criticism, rejection, and how to be emotionally honest and loyal. 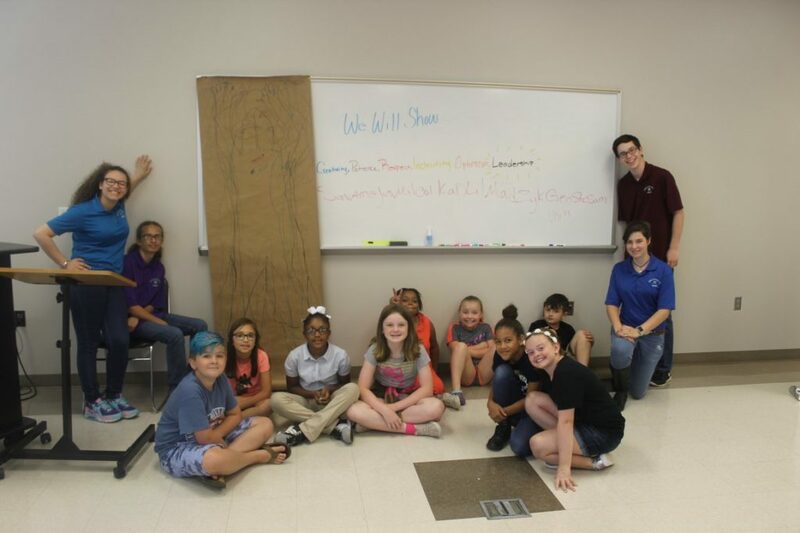 Through the Union County 4-H Summer Fun program, we were able to bring the magic of theatre to a very talented group of 8 to 11-year-olds. Each day focused on a different aspect of creating a production from playwriting to costume designing to creating set models. They learned how the career diversity of theatre can promote market growth. The camp also created more learning opportunities through schools and local theatres for young thespians. The kids participated in activities such as creating their own costumes and physically building their own set models. They wrote their own scripts and directed their own shows. At the end of the week, the kids performed in front of their peers. After each show, their peers who watched had to write three sentences of constructive criticism to tell the actors of these scenes. 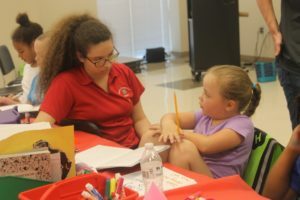 I believe the campers greatly enjoyed being given complete creative control of their stories, they were allowed to create everything from scratch. The youth learned that in theatre there is much more than just acting and I know that some of them found something in the camp they enjoyed and could pursue as a career. • 2013 ECA Bus Tours! • How Did YOU Spend Your Summer?